"Ahh! What a great coat! Too bad it is too warm to wear right now since the weather has been so warm!" Well guys, my bubble has been popped and it is a freezing (literally) in the mornings now. I am still in denial that December(& my birthday) are quickly approaching. 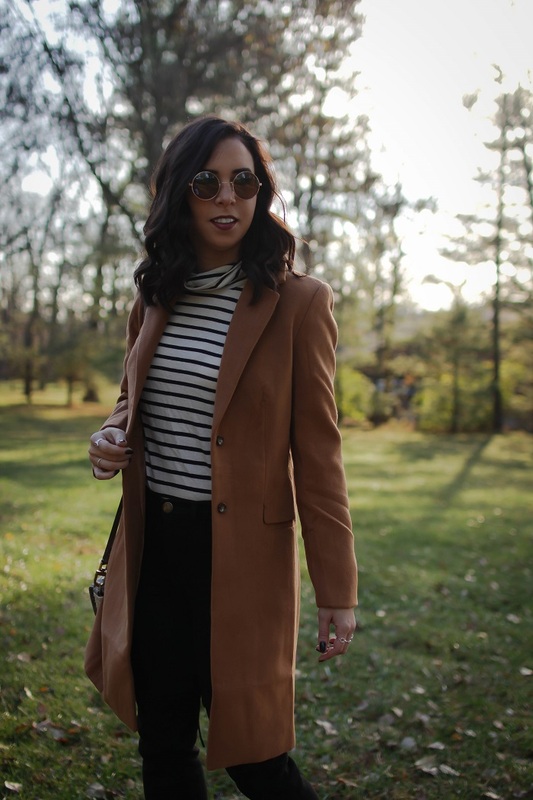 I am a little reluctant to acclimate to these chilly temps, however chic coats, like this one from SheIn, do help ease the transition. 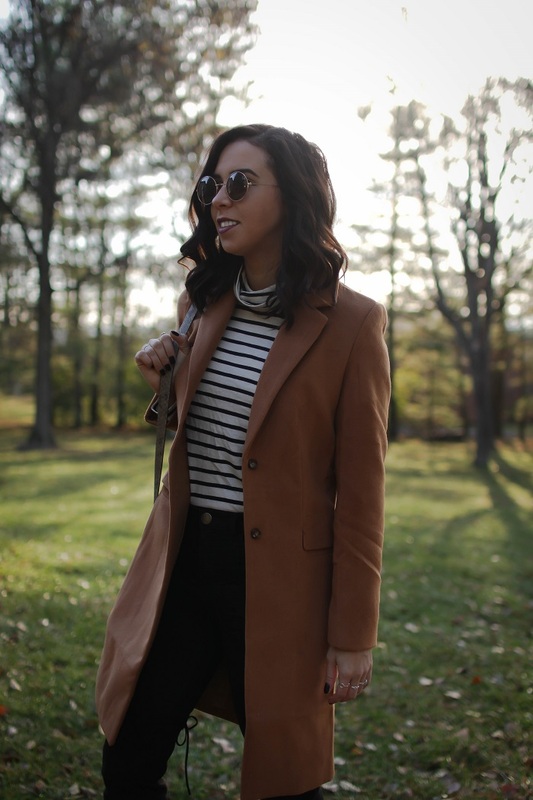 SheIn offers tons of affordable fashionable pieces (like this jacket worn here). The sizes do vary from piece to piece so READ THE MEASUREMENTS! My trick on ensuring I picked the right size with no measuring tape? Grabbed my best fitting blazer (mine is from J.Crew) found the sites measurements for the size I own & compared the measurements. I am sooo loving this outfit!! I'm kind of obsessed with Shein these days. I mean, where else can you find a jacket for $35? 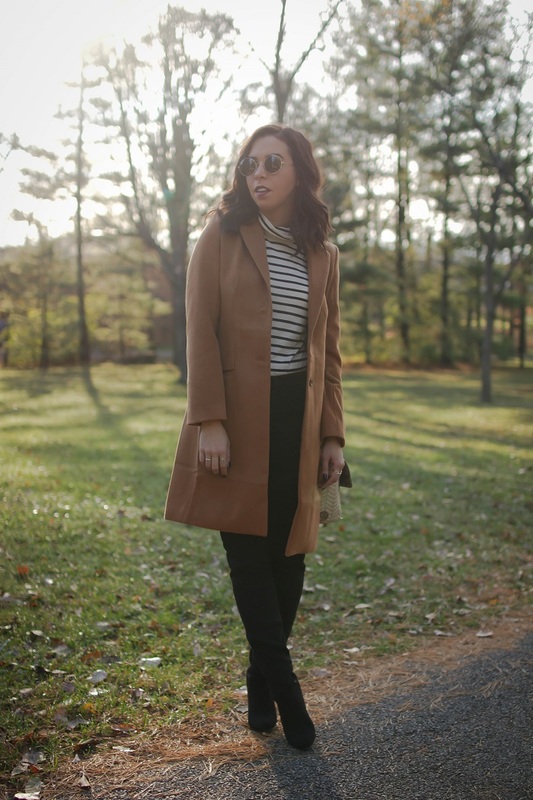 This looks like such a great outfit for the fall! Um...and winter? That can just stay away. Great look! Very nice coat!